Virtual audit capabilities expected to reduce compliance costs and set the stage for strategic growth. Grand Rapids, MI and Charlotte, NC (October 30, 2017) – Virtual StrongBox, Inc. and CU*Answers announced today that the two companies have teamed up to transform compliance and audit processes for its credit unions and auditors. AuditLink, the audit and compliance division of CU*Answers, will use Virtual StrongBox’s secure platform during virtual audits to ensure that sensitive information remains safe while engaging in the exchange of private and financial information with a compliance team member. Financial audits and regulatory exams have become a major expense for credit unions. Auditors and examiners often must be onsite for four or more days, incurring considerable travel expenses that credit unions must reimburse. With Virtual StrongBox’s platform, AuditLink’s compliance team can now perform many audit activities remotely from their offices, saving time and reducing the number of days auditors must be on travel. 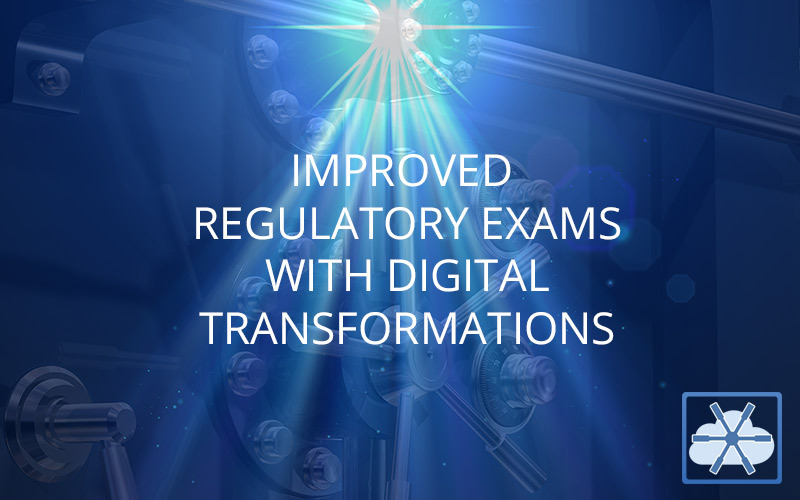 streamline the exam process using prebuilt checklists and granting credit union employees access to quickly provide required documents in a collaborative, easy-to-use digital experience. “We are excited about the AuditLink and Virtual StrongBox partnership and the doors it will open for changing the way we perform audits and allow us to grow our business” Sapino concluded. Virtual StrongBox offers the only platform that provides secure, automated exchange of data between financial service firms and the digital consumer that promises cost savings, agility & business transformation. When the Virtual StrongBox platform is used in an operational role that involves getting data to or from the digital consumer, clients report a 70-80% increase in operating efficiencies & cost savings. CU*Answers offers expertise in implementing technical solutions to operational needs, and is a leader in helping credit unions form strategic alliances and partnerships. CU*Answers provides a wide variety of services for credit unions including its flagship CU*BASE® processing system (online and in-house) and Internet development services featuring It’s Me 247 online and mobile banking. Additional services include web development, network design and security, and image check processing. Founded 40+ years ago, CU*Answers is a 100% credit union-owned cooperative CUSO providing services to credit unions representing over 1.9 million members and $19 billion in credit union assets. For more information, visit www.cuanswers.com.